High Availability, Cloud Based netZcore Avro is ITC Systems’ latest platform for delivering secure, unlimited account based commerce solutions. 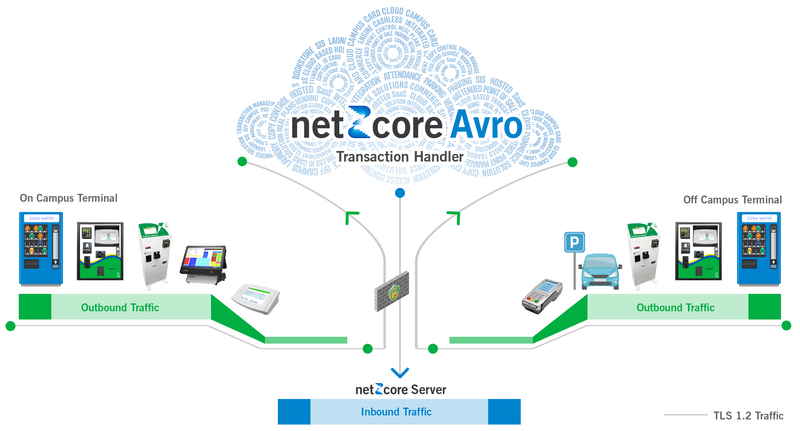 netZcore Avro simplifies transaction management and user credentials across campus, local merchants, and other closed environments for a total end to end cashless solution. netZcore Avro is the most advanced Cloud Based transaction commerce engine for campuses of all sizes. Using industry compliant TLS 1.2, ATH routes all terminal traffic to your local netZcore server on a single encrypted channel.